My core objective is to ensure that you receive the very best product. The information below will give you insight into how your prints are made.. Depending on where you are based, I would love to show you a selection of my photographs in person. My printed portfolio contains a variety of images that reflect the quality of the paper and print. The images also contain stories that I am eager to share! Feel free to contact me to arrange an appointment. All prints are made using Fine Art Hahnemühle Papers. Hahnemühle is a German paper manufacturer who has produced some of the world's finest art papers since 1584. My preference is their 100% cotton-based paper which has a beautiful, yet subtle, surface texture. Due to the nature of these papers, no two sheets are the same, making each print unique. Before printing the final photograph, I produce a number of proof images. These are then compared against colour accurate computer monitors to ensure that the printed images are an identical match to the digital negative. Only once I am 100% happy does the final print phase begin. All Gicleé prints are produced in-house using a professional PROGRAF printer. Larger photographs, as well as chemical prints, are completed by my most trusted print technician. Working alongside them and referring to an artist proof, I can guarantee that each print is as it should be; colour accurate and blemish free. Regardless of where in the world the prints are going, each photograph receives a final inspection before leaving the door. If it isn't right, it gets redone. It's as simple as that! If you would like to receive your photograph ready to hang, I've got you covered. Whether you're a fan of minimalist Diasec or a more traditional wooden frame, I'd be happy to discuss the options with you. I am also able to create digital mock-ups of your space to assist your final decision. 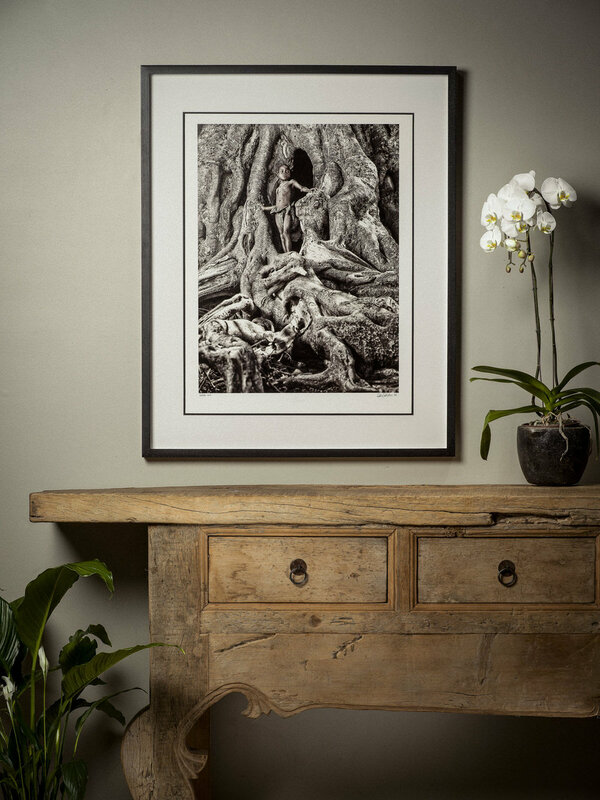 All of my traditionally framed works are set behind museum-grade and UV-resistant glass. Not only is this optically superior, but it will also protect your photograph for many years to come.